Proteins are the building blocks of life, organic molecules made up by amino acids. Our bodies break proteins down into amino acids during digestion. Protein are used by the body to replace old worn out cells, aid in growth and repair, help transport vital substances around the body with proteins and amino acids are utlized to produce hormones, enzymes, neurotransmitters and many other physiological necessities with big names for our bodies to function. Without adequate stores of amino acids (broken down from proteins) our bodies will not function well! Protein helps us manage our body composition and our weight, it’s vital for recovery and the enhancement of muscle as well as our immunity. 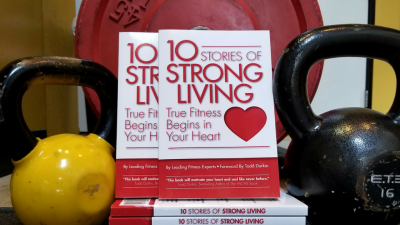 For people doing high intensity workouts new research is showing that protein needs can be anywhere from .64 to .9 grams per pound of body weight. So a 140 pound active person would need around 96-126 grams of protein per day. With this in mind, protein powders have become a popular nutritional supplement. And, there are may types of protein powders to chose from. There are several types of protein powder on the market. Consider your needs and goals before choosing a protein powder. Do you need it to digest slowly, are you using if for cooking, and can your tummy tolerate it? Also, you get what you pay for. Cheap protein powder is most likely filled with fillers and lactose. 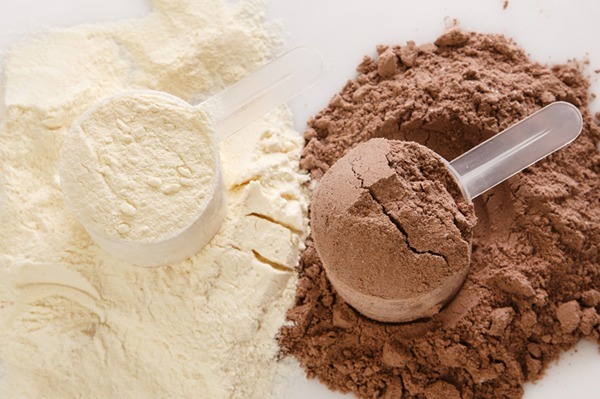 Here are a few of the different types of protein powders you can chose from and a little about and strengths and weakness’s. Milk Proteins (whey, casein, calcium caseinate and milk protein blends) This type of protein supplement is the most studied. Milk proteins obviously contain lactose, but they are higher in BCAA’s. They may help out your immune system as well. Milk proteins can cause upset stomach or digestive upset in people who are sensitive to lactose, whey or casein. Egg Protein: contains all of the amino acids. Egg protein also has greater biological value than many other natural foods. This type of protein is very effective; it’s nearly fat and cholesterol free, but can also cause digestive upset. Soy Protein: There is much controversy over this type of protein. It’s 100% plant based. Unfortunately it’s often derived from genetically altered soy. Pea Protein: 100% plant based and contains no cholesterol or saturated fat. It’s easily digestible and rich in lysine, arginine and glutamine, a little grassy tasting. Fewer ingredients in protein powders is better. This is the same for any food product. Protein powders are processed foods, so we want to reduce the amount of chemicals where we can. We do have our own Mo-Mentum blends of Protein Powder available for purchase at the gym (I couldn’t resist a shameless plug). I use mine in a smoothie every morning while other members of our team incorporate them in coffee, yogurt, or even mix with water.We have several great recipes listed HERE on our website.If you have any questions about protein powder, don’t hesitate to ask me or one of our expert fitness coaches!